Poster by poet Scott Austin and artist Mary "Katie" Martello from the 2012 series: "Birdhouses appear / overnight on Meadowbrook: / Neighborhood magic. 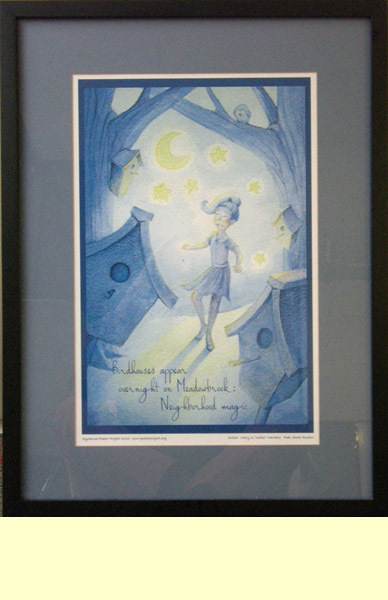 Matted and framed, 18 x 24 inches. 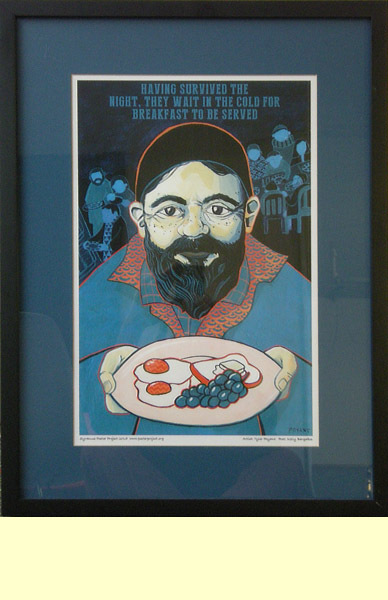 Poster by poet Kelly Bargabos and artist Tyler Poyant from the 2015 series: "Having survived the / night, they wait in the cold for / breakfast to be served." Matted, Framed, 18 x 24 inches.